On this page we’ll inform you about Luckydino casino. We also wrote a review about Luckydino, check it out if you want more information about Luckydino. Luckydino is a pretty new casino, they opened their doors in 2014. Luckydino casino is part of the Luckydino Gaming limited casino group. They possess a genuine gamble license and their headquarters is settled in Malta. The casino meets all the requirements and laws that Malta has. Therefore we can assure you that Luckydino casino is a trustworthy casino. Are you curious about the bonuses and the games they offer, read along! Luckydino Casino information: what’s more? Luckydino offers a nice amount of games. Most of the games are made by well-known game makers like NetEnt, Williams, Qucikfire, Microgaming and Barcrest. In the gaming lobby you’ll see different video slots, classic slots, table games, video poker and many more. It’s a pity they don’t have a NetEnt live casino, but we heard that Luckydino is working on that. Luckydino does offer some nice jackpot games. If you’ll check the homepage from Luckydino you’ll see the jackpots growing by the second. If you want to win really big you should check out the Arabian Nights Jackpot or the Cosmic Fortune Jackpot. This are fun games and you have the opportunity to win some big money. All games can be played without downloading any software. Ideal if you just want to play a quick game. Luckydino also offers a mobile website that is optimized for telephones or tablets. The mobile website looks nice and is very convenient. In the Luckydino casino information part we’ll take you through the bonuses Luckydino has to offer. Luckydino has some different bonuses that we’ll discuss in detail. First of all we’ll start with the non-deposit bonus. 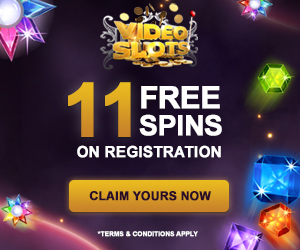 If you make a registration at luckydino you’ll instantly receive 7 free spins and €5,- playing money. Ideal if you just want to check out Luckydino casino and find your way around the website. Luckydino also offers a deposit bonus. This bonus you only receive when put some money into your account. 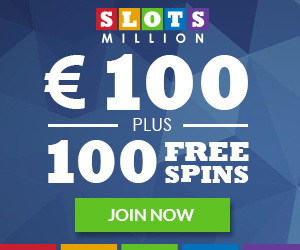 Luckydino will give you a bonus of 100% on your first deposit, up to €400,-. For example if you deposit €400,- you’ll receive a bonus of €400,-. Your account balance will then be €800,-. 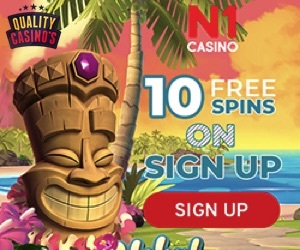 If you made your first deposit you’ll also receive 50 free spins. The wager requirements are 50 times, that’s pretty high. Luckydino also gives you a bonus if you make your second deposit. They the call this bonus ‘the reload bonus’. 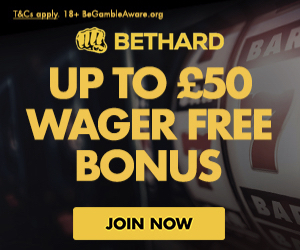 The reload bonus is 50% up to €200,-. For the winnings you make with the free spins you don’t have any wager requirements. In this part of the Luckydino Casino information we’ll take you through some other important things that Luckydino has to offer. 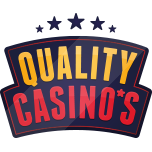 The Quality-casinos test team as always made a deposit and checked things such as customer service, lay-out etc. The test team received the Luckydino bonus and played some games. They really liked the games they played especially the Startdust game from NetEnt was a lot of fun. We never heard any complaints about Luckydino casino. Luckydino pays out very fast. Within 24 hours the money is transferred into your bank account. The website is very convenient and has a nice lay-out. You might say that the lay-out is a bit childish but that doesn’t really matter for casino. As you could read above the bonuses from Luckydino are very good and you should definitely make use of them. Check out the review for more information. Click on the button below if you want to play at Luckydino Casino. We’ll end the Luckydino Casino information with wishing you luck while playing! Have fun.